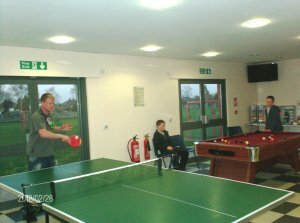 Birstall Youth Café has been in operation since November 2008 and is fully funded by the Parish Council. The Parish Council employ four enhanced DRB checked Youth Workers and sports coaches complete with up to date first aid qualifications and food hygiene certificates, to deliver a wide variety of activities for all, ranging from cooking, hair & beauty, pool, table tennis, air football not to mention the outdoor activities during the fine weather of football, cricket and obstacle games. There is a tuck shop that sells, cold drinks, sweets and snacks and during the winter they offer hot food. For more information or further details please visit the Birstall Youth Cafe's facebook page, I'm, sure you'll be pleasantly surprised.